Dr. Valerie Marino, DDS has been in practice as a periodontist for more than 30 years. She is a seasoned veteran known for her outstanding clinical skills and compassionate patient care. As a leader and educator in her field, she continues to educate herself and her staff. Her practice provides the best in cutting edge technology and care. After graduating from Florida Atlantic University and receiving a Bachelors of Arts in biology she attended the University of Tennessee, where she earned a Doctor of Dental Science and completed her periodontal residency. She received the American Academy of Periodontology Student Award and was a member of the Doggett Dean Honorary Odontology Society. Commitment to her profession is reflected in Dr. Marino’s continual pursuit of education and research. She has been published in the Journal of Periodontics and has lectured on numerous periodontal topics. Dr. Marino and her staff frequently attend specialty conferences on periodontics, implants and cosmetics to provide her referring doctors and patients with state-of-the-art techniques and materials. Dr. Marino is a past and present member of The Misch Implant Institute, where she is an active participant in workshops and presentations designed to develop and refine the treatment planning process. In 2008, Dr. Marino completed an extensive training program at the Millennium Laser Surgical Institute. Laser Periodontal Therapy (LANAP) is a new option for patients in need of surgical periodontal treatment. Dr. Marino is a native Floridian and has a close extended family. At a typical Sunday dinner, there can be fourteen to twenty at a table. Luckily, Dr. Marino enjoys entertaining, cooking, baking as well as reading and sewing. She and her husband, Dominick, met at Florida Atlantic University and have been married for thirty-nine years. Together, they enjoy traveling, riding the Harley and boating. Bobbi has been Dr Marino’s Office Manager for almost 25 years. Fun Fact – Bobbi is Dr Marino’s sister. Friendly and kind, Bobbi makes everyone feel welcome. Bobbi has been married almost 40 years and has raised 2 beautiful daughters. She is blessed with 4 gorgeous granddaughters. Bobbi spends most of her time with her family and enjoys gardening, cooking and being outdoors at the beach or on the water. Brianna is our Dental Hygienist and has been in the dental field for more than 10 years. Brianna graduated from Indian River State College. She is always smiling and eager to make patients comfortable. Brianna is married to her high school sweetheart and they are expecting their first baby in March. Brianna spends her free time with family and friends enjoying all Florida has to offer. Melissa has more than 10 years of dental experience and is Dr Marino’s surgical assistant. Personable, caring and fluent in Spanish make her a great asset to the practice. She is currently attending Palm Beach State College while raising 3 beautiful boys. Melissa spends her free time enjoying her family and studying. June is a Dental Hygienist and Dr. Marino’s surgical assistant. 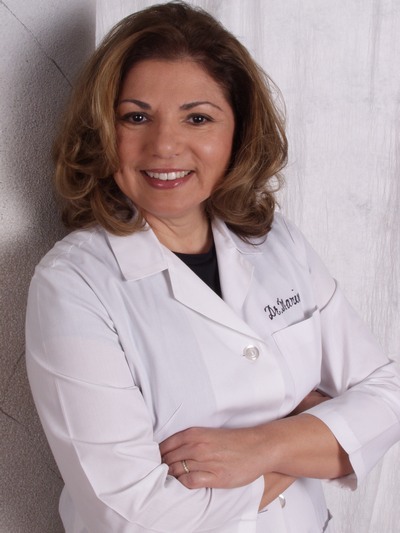 She started in the dental field as a Dental Assistant in New York and graduated from the State University of New York at Farmingdale as a Registered Dental Hygienist in 1995. She has over 25 years of dental experience. She moved to Florida in 1997 and has worked with Dr. Marino since 1999. June is an avid boater and USCG licensed boat captain. She enjoys photography, cooking, boating, snorkeling and being outside on her days off. She has 2 children, Alexis and Jack and considers them to be her greatest accomplishments.